Especially in today's business environment, it is becoming more and more important to clarify the difference between "being the boss" and being someone who "leads" (i.e. Being the Leader). Thankfully, even though this is a difficult task, it is not an impossible one. Once completed, it can produce invaluable returns to the organization and turn that organization into one with inherent "leadership culture." We offer two different levels of workshops nd programs (level1 & Level2). In these workshops, three different key output are targeted: 1. Business Results, 2. Managerial and Leadership Capability, and the sometimes seemingly impossible "3. Employee Engagement & Ownership"
The whole objective of these developmental programs and workshops, is to create a new human resource in management, called internally certified "Chanakyas." These certified "Chanakyas" are the organization's own managers and supervisors who have completed the programs, displayed their ability to lead and also their abilities to develop their team mates into leaders and coaches themselves. These Chanakyas can ensure strong alignment to the organizations' core values and vision right down to the grass roots level. This can bring about much needed change in the organization's culture... towards leadership and coaching, right down the line. 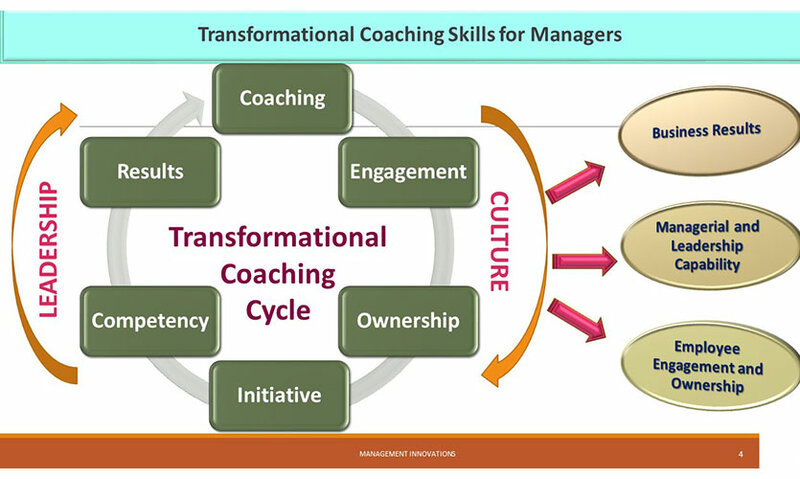 For more detailed information about our coaching for managers, download the pdf brochure, here. Alternatively, you can fill up the form below, give us your contact details... and we'll get back to you.